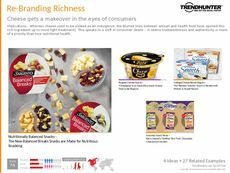 Find Better Ideas, Faster ® with a custom artisan branding trend report, our PRO Dashboard and 80+ categories of premium trend reports. The Artisan Branding Trend Report gives readers a view into branding and packaging patterns that appear sophisticated or handmade. 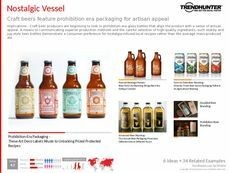 Examples include craft beer bottles that use prohibition era packaging along with soda bottles that are adorned with a vintage font. Since authenticity is becoming more important for consumers, an artisanal design aesthetic is being embraced by retailers. 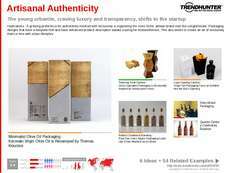 Exclusivity also permeates this theme of artisan branding, appealing to Millennials interested in personalized products and niche lifestyles. This report is beneficial for brand managers of beer, coffee and other food and beverage brands. 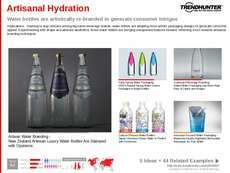 Packaging designers for these areas will also benefit along with marketing teams and advertisers. Fashion designers can also learn more about the market patterns that most appeal to a wide range of consumers. 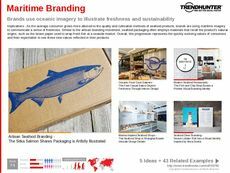 The Artisan Branding Trend Report uses niche branding and visual marketing to appeal to consumers interested in authenticity and maker culture.